The Lamborghini outdoes the Ferrari only in encoding/decoding music files and video. But the Ferrari’s slight advantage shouldn’t be taken as any kind of slight on the Asus Lamborghini: its price is good, the performance is good and features – including USB 3.0 – are well-specced. And it’s more readily available than the Ferrari One. The Asus EeePC Lamborghini VX6 is a 12.1in netbook you’d be pleased to use, and the only drawback, for some, may be the wrong logo on the lid. Although priced somewhat higher than similar models (if there even are any), the price itself isn’t too relevant, as this is an exclusive product aiming at a very specific target group - true car fanatics, who don’t mind giving additional money for a netbook that goes along with their car… Or the poster on the wall. Easily the best-looking and most graphically powerful netbook we've seen in the last year, and indeed since Asus conceived the first ever Eee PC. We'd happily take an Eee PC VX6 on the road with us any time, although that price tag might put off many potential buyers. 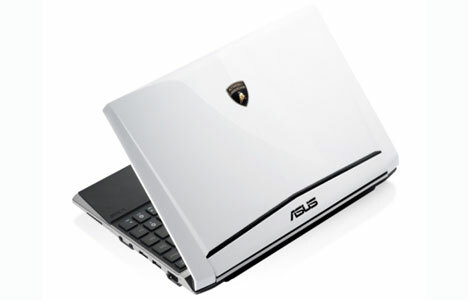 Lamborghini has come together with Asus to launch the Eee PC VX6. Just in case you were wondering, we are talking a netbook here, not a sports car and there's no endorsement from KP! The VX6 is among the highest performance netbooks around right now. Battery life is better than on the Asus 1215N but it is also more expensive. I wouldn’t buy this netbook for one simple reason; the price is too high for a netbook with an Atom processor. I’d rather buy an entry-level laptop like the Lenovo IdeaPad Z460 or the something similar, where I get a proper 14-inch screen and the laptop can play full-HD movies, not to mention that it would have an Intel Core i3 CPU. This is a niche product that could attract either brand-conscious users or people who need something portable, feature rich and cool to carry around. At the end of the day, it’s an expensive netbook. It deserves an above average rating solely due to the features, performance and overall quality. The price is ridiculous. At $699, the ASUS Eee PC VX6 is one pricey netbook. 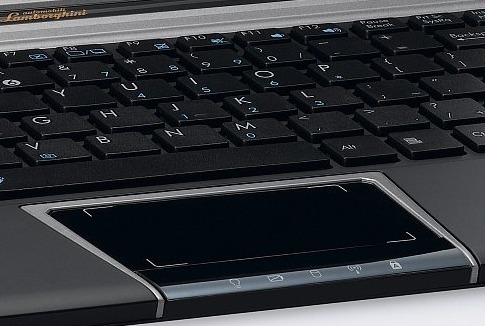 While some will balk at paying $200 more than the similarly specked ASUS Eee PC 1215N, we like the Lamborghini styling and small touches like the soft-touch palm rest and recessed chrome hinges. We also appreciate the USB 3.0 ports, which enables lightning-fast backups and future-proofs your investment somewhat. If you're a car enthusiast or just want to carry a netbook that really stands out, the Eee PC VX6 is definitely worth a look. The Asus Lamborghini VX6 sells at an MRP of Rs. 43,000. Let us keep the Lamborghini branding aside for a moment (we know that there will be a time when the charm's ultimately going to wear off). This laptop is better than the previous 12-inch ION-powered ASUS netbook in two respects - a dual-core Atom processor and the USB 3.0 ports. Otherwise, it is more or less the same in terms of functionality. The VX6 falls in a weird category. It is far too expensive to be called a netbook. If your objective is to watch hi-def movies and have moderately powerful internals under the hood, then 40 grand can also fetch you the 13-inch variant of the Acer Timeline X 4820T we tested; if you're willing to let go of the car-branding. From an individual stand-point, the VX6 left me a little dissatisfied on a few counts like the battery life and lacking Optimus tech (which could've improved the battery life). If you insist on buying a 12-inch netbook, then the 1201NL worth Rs. 27,000 will do almost everything the VX6 can, except for the USB 3.0 high-speed data transfers. 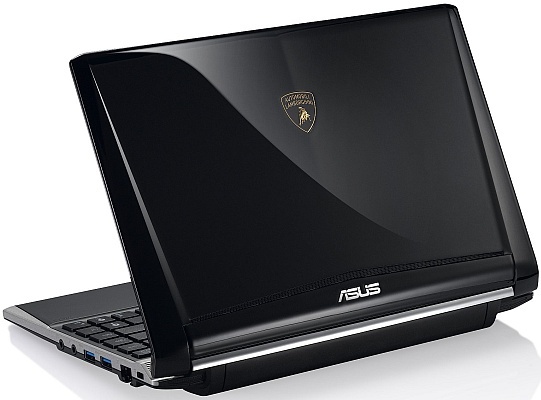 So, is the Asus VX6 Lamborghini worth the fuss? Well, that's for you to decide. I can say that it is fast for a mini laptop and looks great. Pricing is high, but that's the case with all limited editions and branded devices, like this one. Too bad It doesn't come in yellow though, I would really dig that color option. 78.13%: This rating is not convincing. The laptop is evaluated below average, this is not really a recommendation for purchase.